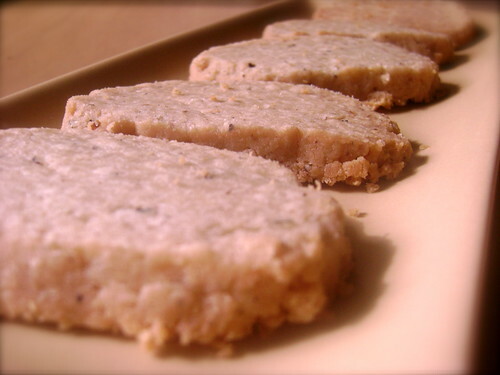 This shortbread was made – and named – in celebration of Canada’s victory at the 2010 Vancouver Winter Olympic Games. I realize it would have been more apt of me to post this during the event, but the truth of the matter is I didn’t get into the Olympic spirit until the last four days when I actually watched some of the Olympics and became inspired. Though I used three quarters grapeseed oil with a quarter coconut oil, it could also be done half and half (1/2 cup coconut oil plus 1/2 cup grapeseed oil). I used #2 Amber grade maple syrup (Canadian grading), which is darker in colour and has a stronger maple flavour. For more information on maple syrup grading, click here. Adapted from a store cookbook. Makes 32 cookies. 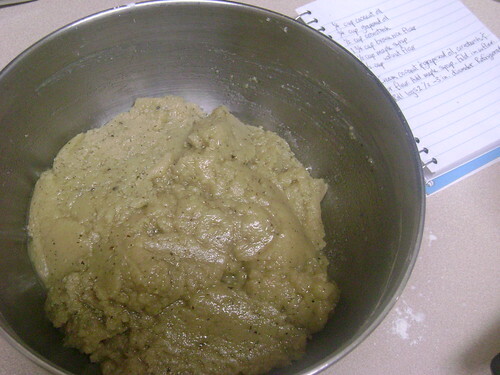 Cream together the coconut oil, grapeseed oil, cornstarch, and brown rice flour. Add maple syrup, mixing in until just combined. Fold in walnut flour. 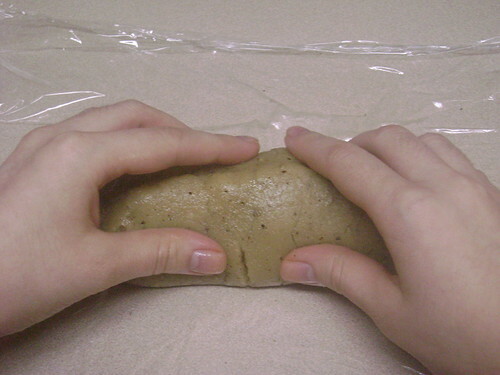 Cut the dough in half and on a sheet of plastic wrap, roll, pat, and pinch the dough with your hands into 2 logs, 2 1/2 to 3 inches in diameter. 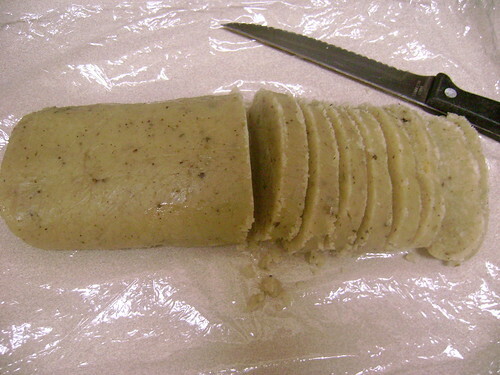 Cover with plastic wrap and refrigerate for several hours or overnight, or until dough is firm. Preheat oven 350ºF and line a baking sheet with parchment paper. 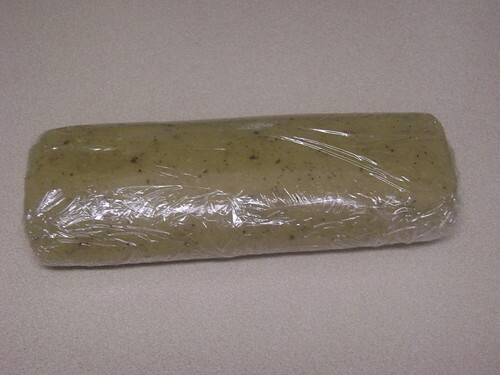 Remove dough from fridge, peeling off plastic wrap. With a serrated-edged knife, cut into pieces crosswise roughly 1/2- to 3/4-inch in width. Place 1/2-inch apart on prepared baking sheet and bake 25 to 30 minutes, rotating the pan halfway through. Cool. Serve and enjoy! Great recipe and I don’t want to sound like a picky guy but have you thought of putting the “eh” at the end because it is more in keeping with the joke of how we supposedly say it all the time. I have bookmarked it and sent it to the wife since I burn everything. LIke your healthy alternatives! This sounds great! I like your use of the darker maple syrup and thanks for the link about the differences, I never knew that before…if you could imagine me not knowing something! (pish tosh) I tried to rate your video and it said thanks but then goes back to blank stars so I don’t know if the service is working or having a break from itself. Good thing the para-olympics are starting this Friday…you have time for more Canadian recipes! 🙂 GO CANADA GO! WOOT! WOOT! Re: maple syrup: It was something I was not entirely aware of either, until I started reading the labels while choosing the maple syrup in the store and did further investigation on the Internet when I came home. The lighter variety, No.#1, is I think what is generally associated when one thinks of maple syrup, particularly its colour. I chose the #2 grading since I thought that it’s stronger maple flavour would be better in the shortbread, although I think either any grading of maple syrup, whatever you already have on hand, would also work. Re: video: To rate a video you have to have a YouTube account and be signed in. You can sign into YouTube with your Google account, but I’m not sure if all the functions are the same as when signed in with a YT account. If you make a Canadian butter tart, please let me know! !